In an era of widespread genetic sequencing, the ability to edit and alter an organism’s DNA is a powerful way to explore the information within and how it guides biological function. A paper from the University of Wisconsin-Madison in the August issue of the journal GENETICS takes genome editing to a new level in fruit flies, demonstrating a remarkable level of fine control and, importantly, the transmission of those engineered genetic changes across generations. Both features are key for driving the utility and spread of an approach that promises to give researchers new insights into the basic workings of biological systems, including embryonic development, nervous system function, and the understanding of human disease. “Genome engineering allows you to change gene function in a very targeted way, so you can probe function at a level of detail” that wasn’t previously possible, says Melissa Harrison, an assistant professor of biomolecular chemistry in the UW-Madison School of Medicine and Public Health and one of the three senior authors of the new study. Disrupting individual genes has long been used as a way to study their roles in biological function and disease. The new approach, based on molecules that drive a type of bacterial immune response, provides a technical advance that allows scientists to readily engineer genetic sequences in very detailed ways, including adding or removing short bits of DNA in chosen locations, introducing specific mutations, adding trackable tags, or changing the sequences that regulate when or where a gene is active. The approach used in the new study, called the CRISPR RNA/Cas9 system, has developed unusually fast. First reported just one year ago by scientists at the Howard Hughes Medical Institute and University of California, Berkeley, it has already been applied to most traditional biological model systems, including yeast, zebrafish, mice, the nematode C. elegans, and human cells. 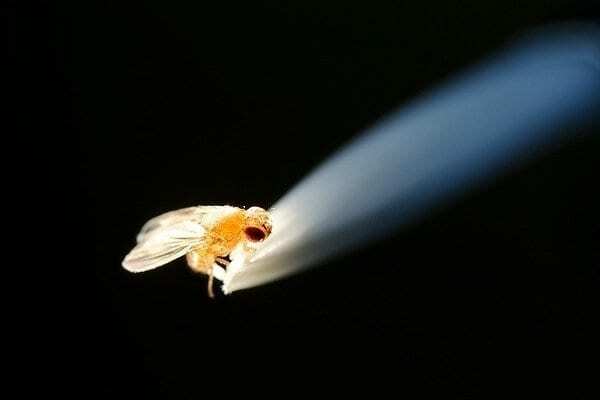 The Wisconsin paper was the first to describe it in fruit flies and to show that the resulting genetic changes could be passed from one generation to the next. The CRISPR RNA/Cas9 system directs a DNA-clipping enzyme called Cas9 to snip the DNA at a targeted sequence. This cut then stimulates the cell’s existing DNA repair machinery to fill in the break while integrating the desired genetic tweaks. The process can be tailored to edit down to the level of a single base pair — the rough equivalent of changing a single letter in a document with a word processor. The broad applicability of the system is aided by a relatively simple design that can be customized through creation of a short RNA sequence to target a specific sequence in the genome to generate the desired changes. Previous genome editing methods have relied on making custom proteins, which is costly and slow.